"Would you like mayo, oil, vinegar or balsamic with that?" With that question I had to make a split decision whether or not to cancel my order at The Corner Foodery. Good thing I didn't walk out because The Corner Foodery turned out to be a pleasant surprise albeit with some execution errors. It reminds me of Jake’s Sandwich Board in that neither shop necessarily gets talked about much. There is no straight Italian hoagie on the Corner Foodery menu, but I found out later that you can create your own sandwich from a selection of meats. I ordered The Godfather, the closest menu item, with prosciutto, pepperoni, coppa and sharp provolone (3 out of 5 of necessary ingredients). Despite the overplayed name, The Godfather was quite good, but won't make it into the upper echelon of my Hoagie Quest list. Definite bonus points were earned, though, by freshly slicing each meat for the order. 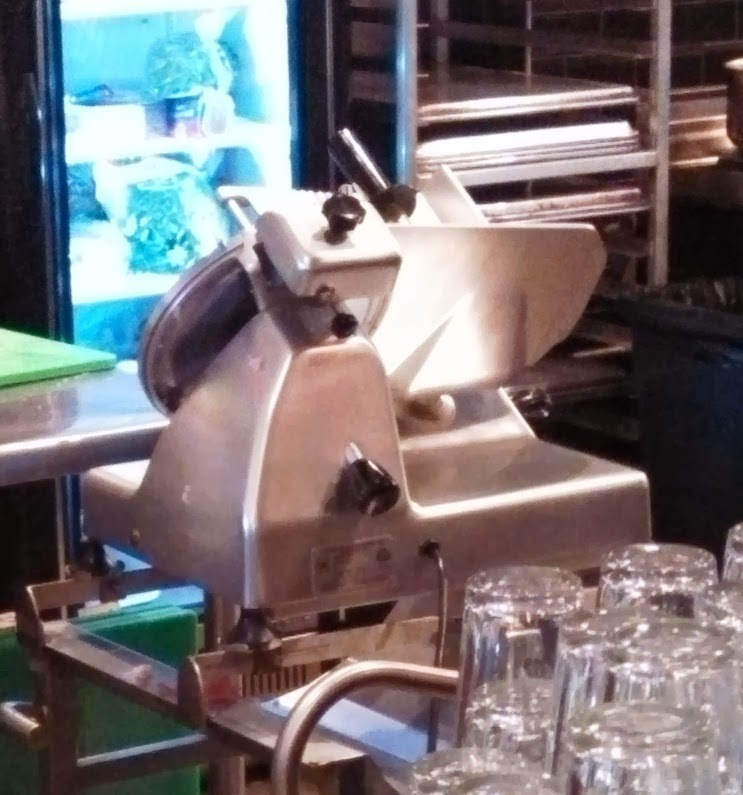 You don't often see this, even at the best old-school delis. My biggest complaint would be with the balance of meat throughout the hoagie. A few bites seemed to be either all prosciutto or all pepperoni. The seeded roll was also too chewy for my liking and left me with a slight case of hoagie jaw. 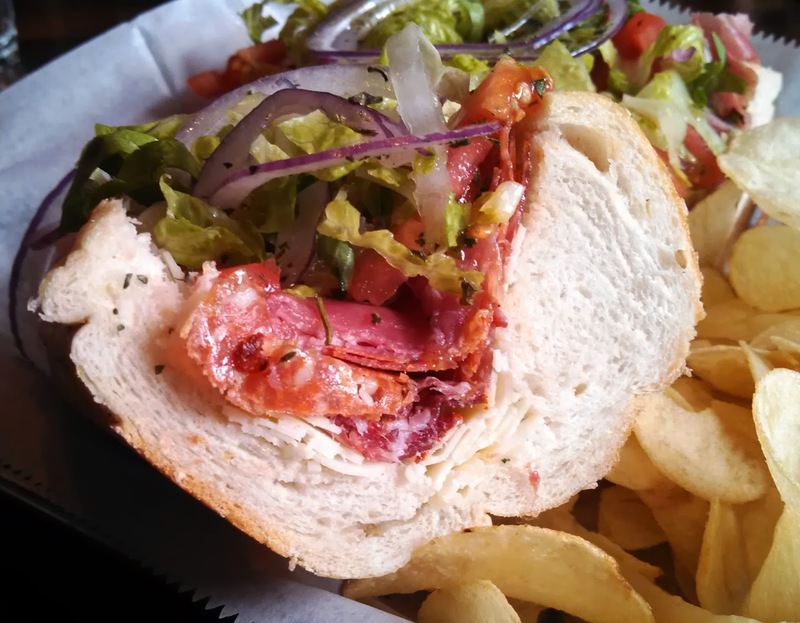 Forgetting the mayo bomb, The Corner Foodery attempts to do just about everything else right with their hoagies. I’m looking forward to going back to build a traditional Italian, to try other sandwiches or to partake in their killer breakfast deal. The Corner Foodery also has an incredible selection of beer to-go and a seating area to watch a sports event. Grabbing a sandwich with a nice craft beer is always worth a trip. Nice looking sandwich. Comes with good chips and a pickle. How often do you walk into a restaurant where you like every single item on the menu, and every variation? Dismissing an entire restaurant because you don't like one condiment seems overly snobbish to me. I can understand a statement to the effect that you prefer not to review hoagies made with mayo, but at least acknowledge the fact that some people might like it. Commenting that the roll gave you "hoagie jaw" is much more useful information that merely stating you don't want mayo on a hoagie. It's like saying you won't review a restaurant that allows ketchup on a hot dog. Can you let go of the mayo thing and just talk about the hoagies? The meat-to-bun ratio in this hoagie is all wrong. There seems to be literally twice as much fluffy, dry bread as there is meat, with wisps of shredded lettuce unsuccessfully trying their best to fill up the negative space. While it doesn't need to be comically overfilled, a good hoagie should have a generous bounty of meat that extends (at least) to the outer tips of the roll. The sandwich in this post is something I would expect to find idiots raving over in midtown Manhattan. Thanks for the comments. I was probably a bit harsh with the opening since the intention was to dismiss the hoagie not the restaurant. 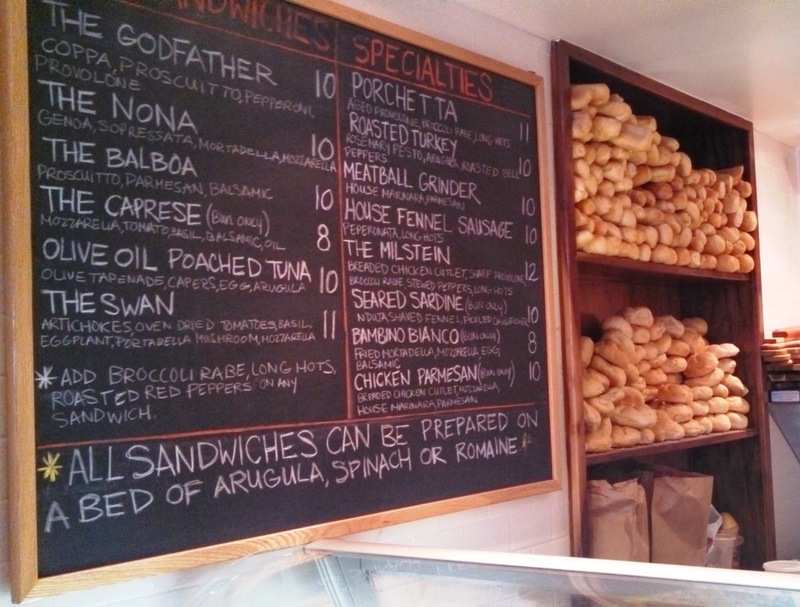 I'm more than willing to try and have tried any Italian hoagie even if they ask for mayo, like at Corner Foodery. If you like mayo on your Italian go for it. 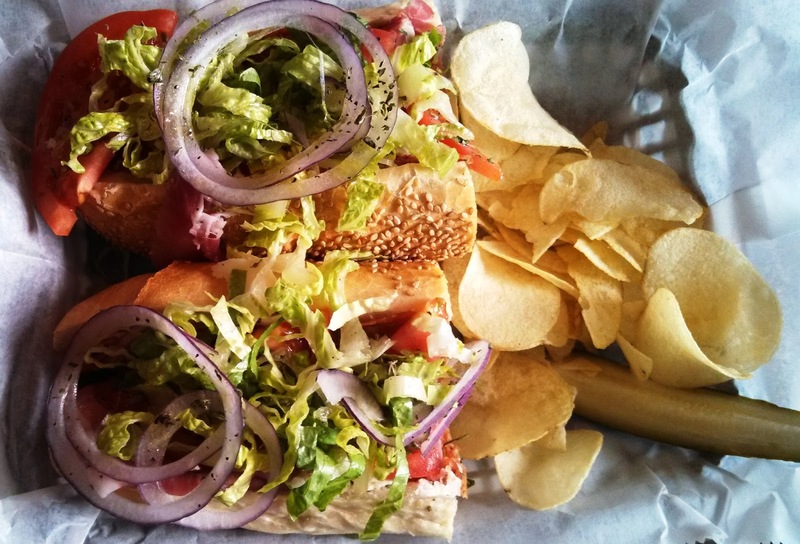 The goal of Hoagie Quest is to find the best Italian hoagie in Philly. The absolute best of the best places will not ask about mayo, IMHO. Regardless, it's not the first factor in grading them but I will call a place out for asking. If you have some top places for me to try, please suggest away. I hope I can provide an honest, everyday person take on it.